December 7, 1941 transformed the lives of every American even more completely than the September 11, 2001 attacks did two generations later. 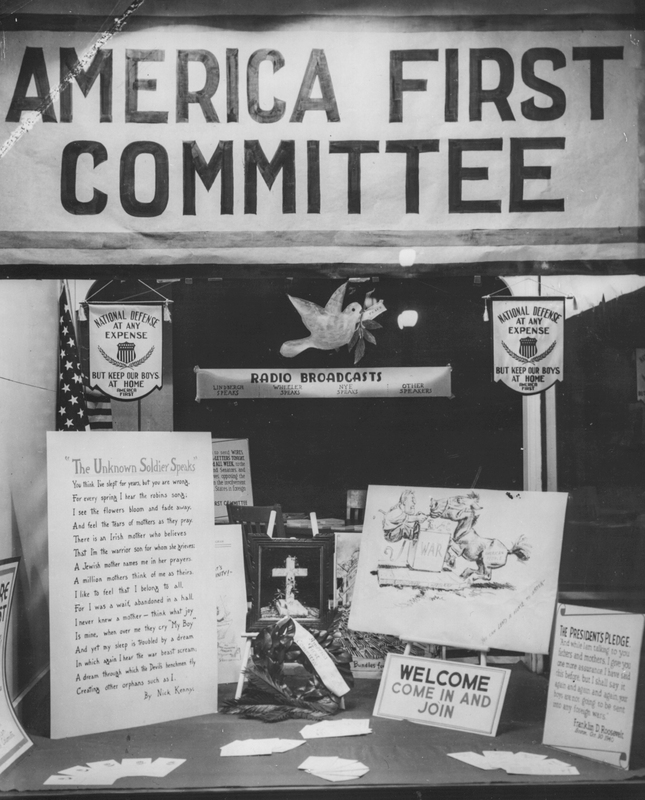 Young Americans from all corners of the United States suddenly saw the scope of their world change radically. For most, their lives consisted of all the Depression Era travails of trying to establish a foothold in the job market, or somehow finding a way to get an education. Most had not traveled, few had been overseas. They lived in quiet small towns, on farms or in cities still reeling from the labor unrest and high unemployment rates that had become hallmarks of the previous decade. 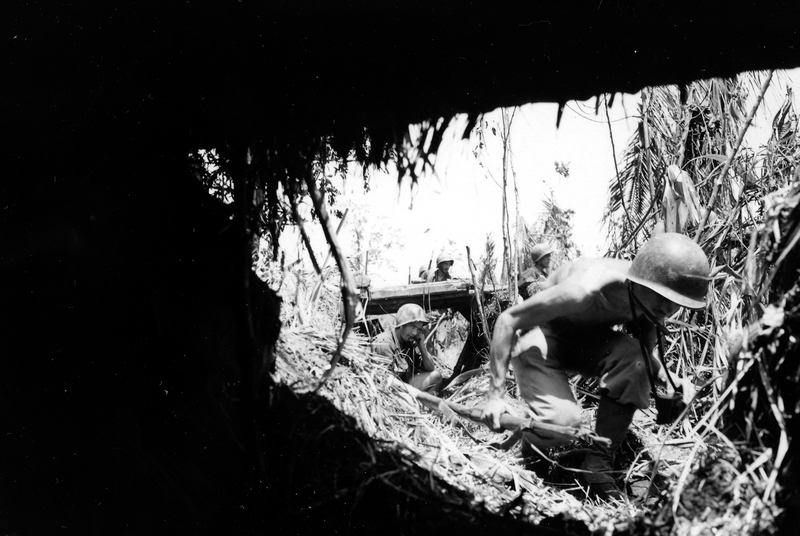 December 1942: Soldiers of the 127th Infantry Regiment fighting at Buna, New Guinea. So far from Wisconsin, where this National Guard unit hailed from before it was Federalized. The Pearl Harbor attack scattered the Greatest Generation across the globe. Kids from small town America found themselves fighting and bleeding in places they had never heard of before December 7, 1941. Yet, those far flung places would forever be pivotal moments in their lives, and the memories the “lucky” ones carried home would haunt them for their remaining years. There were three wartime anniversaries of the Pearl Harbor attack. Each one was exploited for its propaganda and political value by the domestic media, but for the individual Soldier, Sailor, Aviator and Marine, these anniversaries had profound personal meaning. For them, it marked the end of their peaceful lives and the start of a new arc that would test their mental, spiritual and physical endurance. 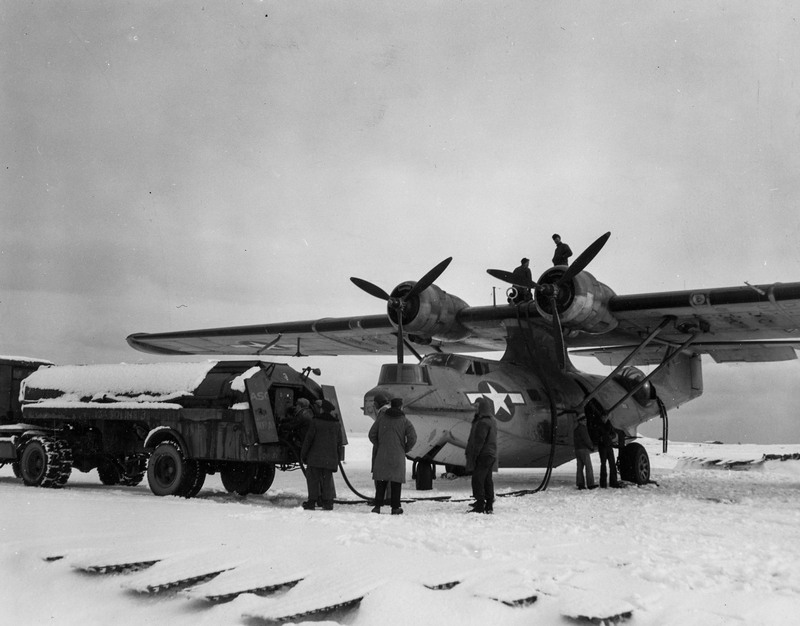 Refueling a USN PBY Catalina at Amchitka, Island. December 7, 1943. Fleet Air Wing Four. Few Americans had ever set foot on Amchitka prior to Pearl Harbor. Few have visited since VJ-Day. 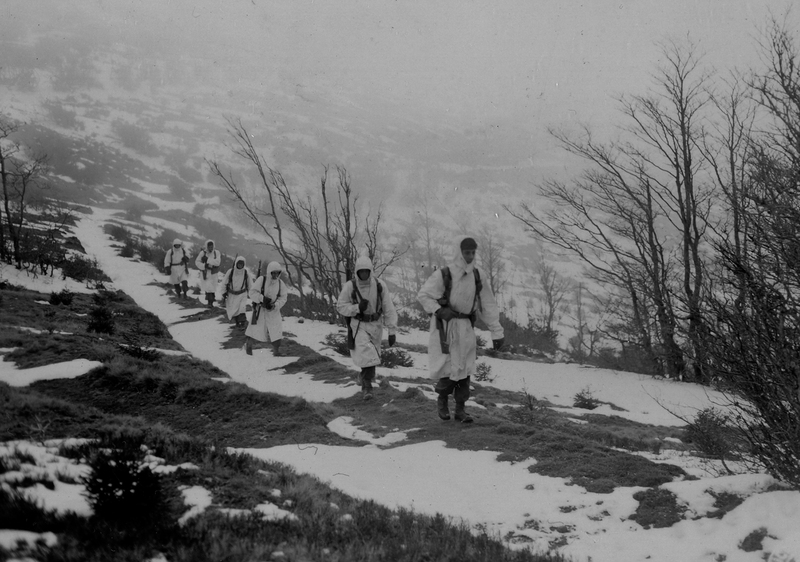 An America patrol moves through the snowy Italian countryside near Pracchia, December 7, 1944. They were caught up in a high tide of events far beyond their control, but ultimately each played a part in reshaping the world through the victories they secured. May we be grateful for all they gave up for that victory, and may we strive to ensure that no generation, from any nation, endure such a crucible again. Peace to all of you, and best wishes for this holiday season. December 7, 1943. Lt. Grover C. Blissard receives a DSC. From small town Texas, Blissard entered the USAAF and became a B-17 co-pilot in the 12th Air Force during the 1942-43 Torch campaign. During a mission to Italy, his Fort was hit repeatedly by flak and fighters. The attacks killed his ball turret gunner, but they stayed in formation. Then a cannon shell hit the cockpit and blew off his right leg at the knee. 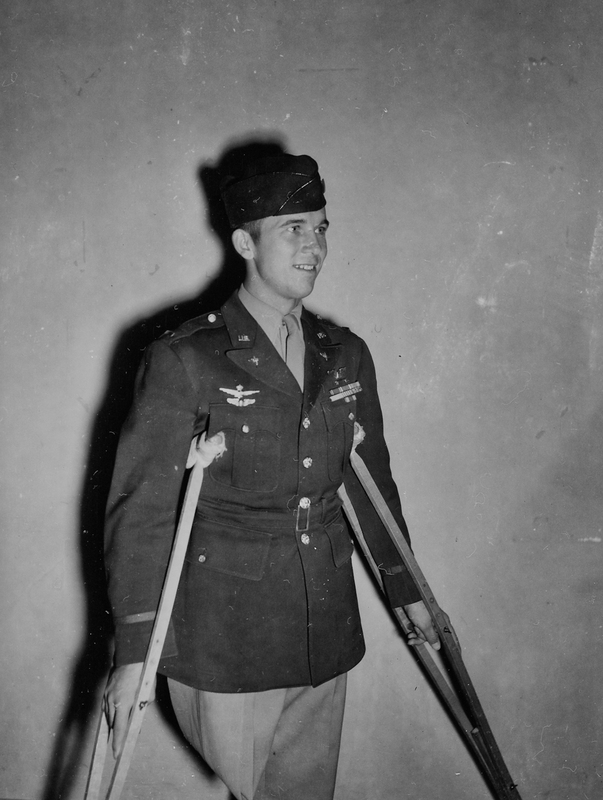 “My right leg was dangling there on the floor, held by a piece of flesh an inch wide,” he told his hometown paper later. He applied a tourniquet made from a torn piece of his shirt, and continued mission. His crew did not turn for home until after they had released their bombs on the target area. December 7, 1945. Landsberg, Germany. 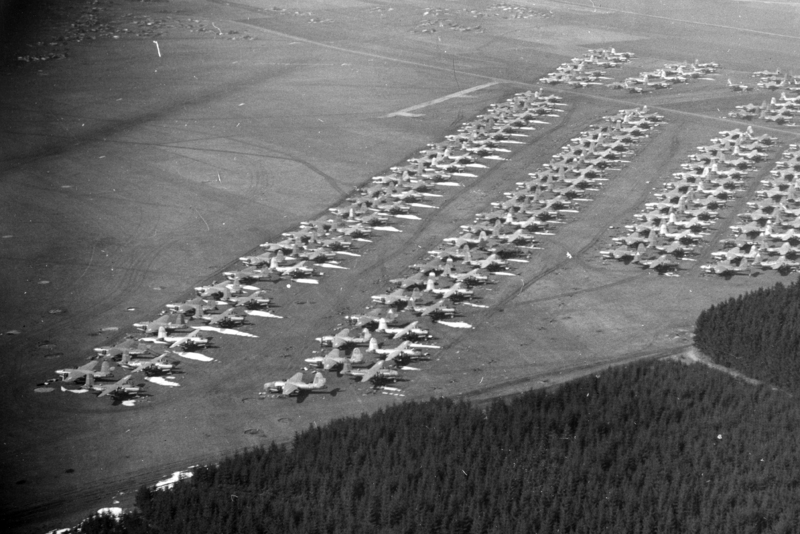 The end of the line for 9th Air Force’s B-26’s. They were blown up here and scrapped.